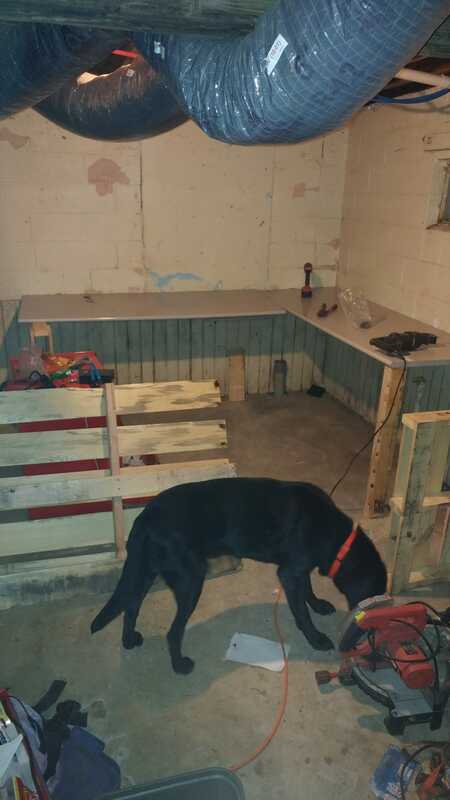 The "free" workbench is coming together! Slowly.. I’m running out of usable pallet lumber. I’m using a small wainscot buildout from the PO for the rear. And that’s the most painful part. The wall on the left has a higher ledge than the right. I can’t have an uneven corner. My OCD would keep me awake at night. I may pull the left side away from the wall and just cut a filler for the gap. Still aggravating but not as much as an uneven benchtop.